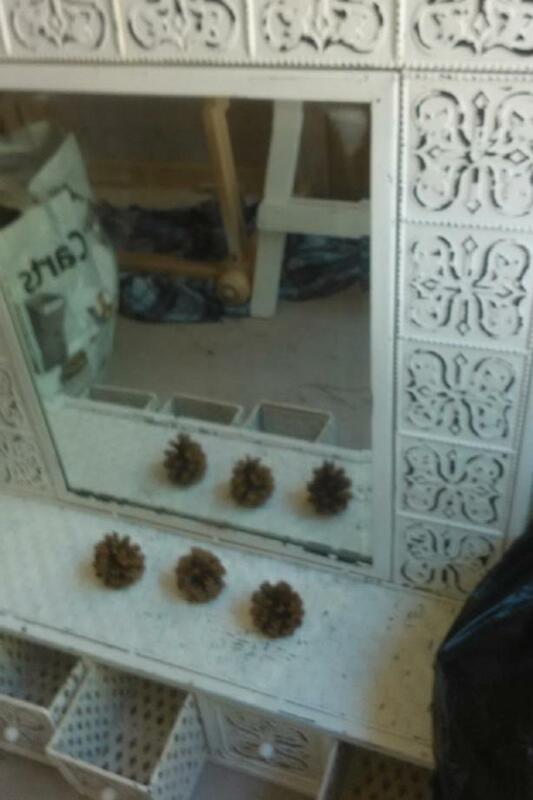 One of a Kind mirror. The frame has been made from ornate embossed tin ceiling tiles painted white. There is a shelf which is made from the 5 drawers attached. These small pull out drawers are also tin tile with the sides made from tin lattice. It is vintage so has some rust. The mirror needs a backing. This is a heavy mirror. Measures 31"H x 21"W.